At the NCSFA’s 130th Annual Meeting and Annual Banquet the Board of Directors and membership honored two special award recipients. John Powell (pictured in the center of the top photo) received the Firefighter of the Year award. 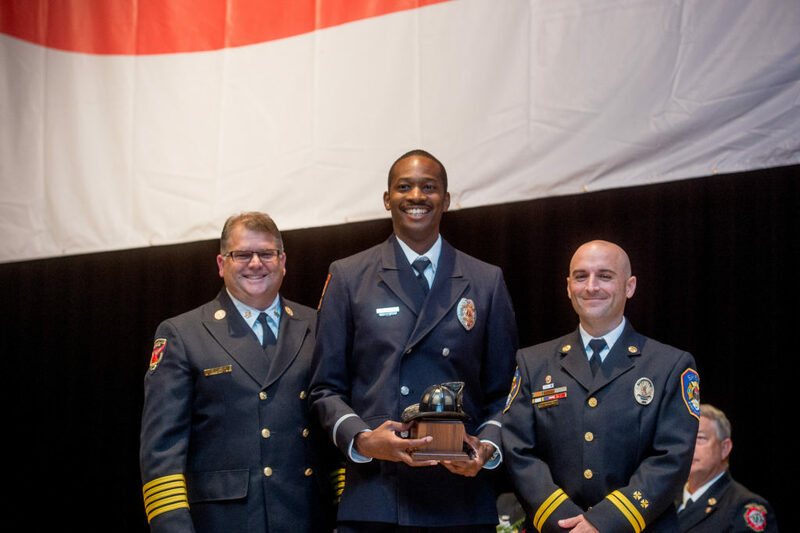 Firefighter Powell is from Winston-Salem Fire Department and was selected as this years recipient due to his continued acts of “…courage, professionalism, kindness and compassion…” as described by his nominator, Gerrod Hardy. 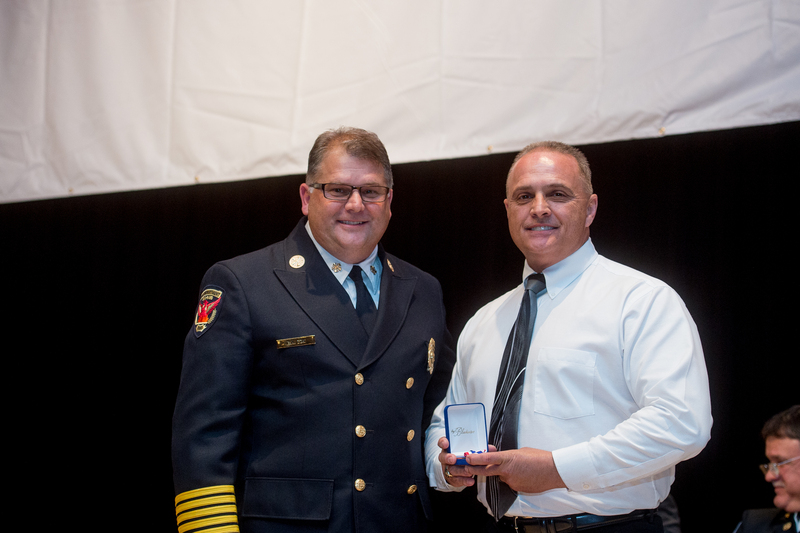 Also awarded this year was the first ever Medal of Valor Award to David Shelton (pictured to the right of the bottom photo) of Hot Springs Volunteer Fire Department. Firefighter Shelton rescued someone from a burning structure prior to apparatus getting on scene back in April of this year. 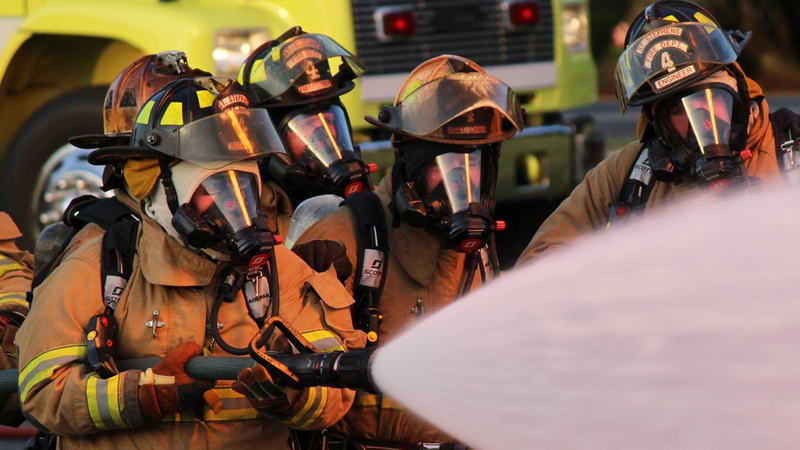 His nominator and Fire Chief, Joshua Norton, said that he is “…blessed to have such dedicated firefighters…” as Shelton on his department and as members of their community. On behalf of the Board of Directors and the membership of the North Carolina State Firefighters’ Association, congratulations to both John Powell and David Shelton on being recipients of the 2017 NCSFA Awards, both are very much deserved.